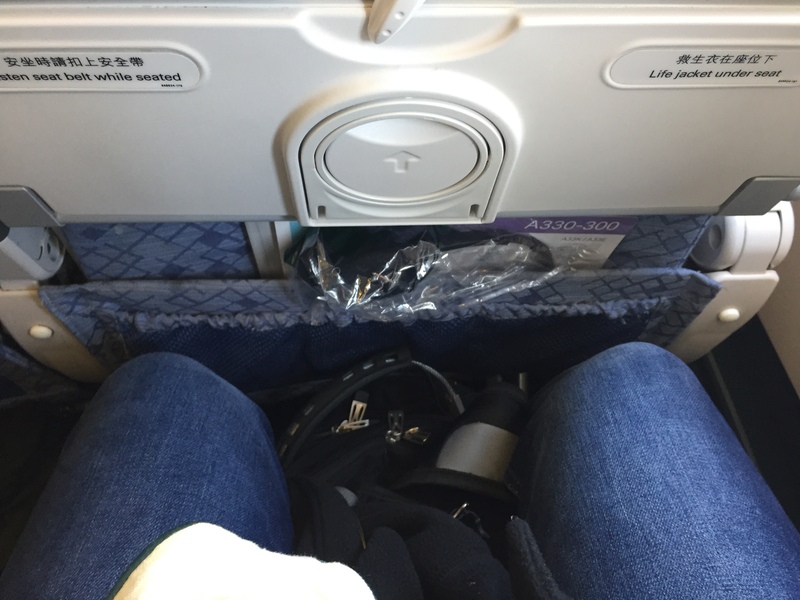 Despite common misconceptions I still fly economy sometimes, especially if I don’t have any miles to spend or availability is low. 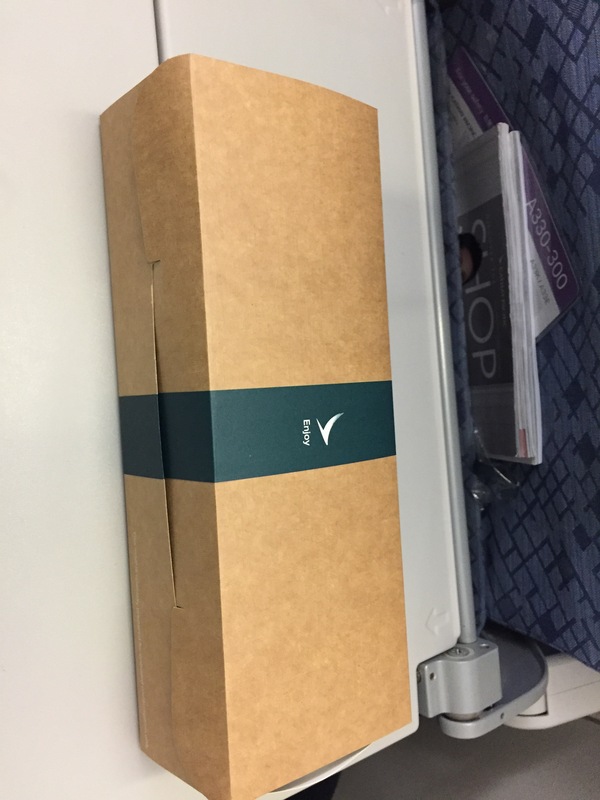 For my return trip from Australia (more posts of the actual trip later) I opted to take the same company home that I would eventually be flying in business class: Cathay Pacific. 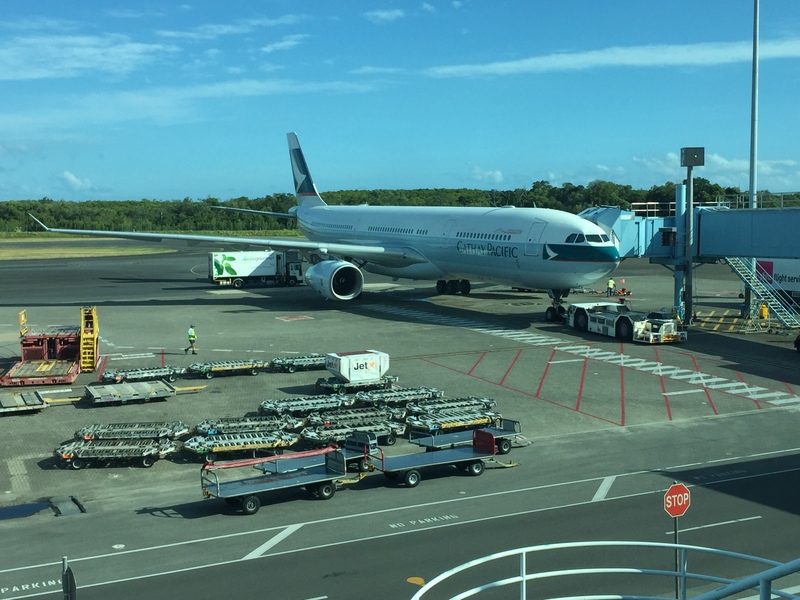 As we were in Cairns I tried to find as close to a direct flight as I could to Hong Kong, not expecting much. As it turns out there are enough people who want to fly between the cities that a large plane goes back and forth every day. So, bright and early I got in a cab and arrived at the airport a few minutes later. 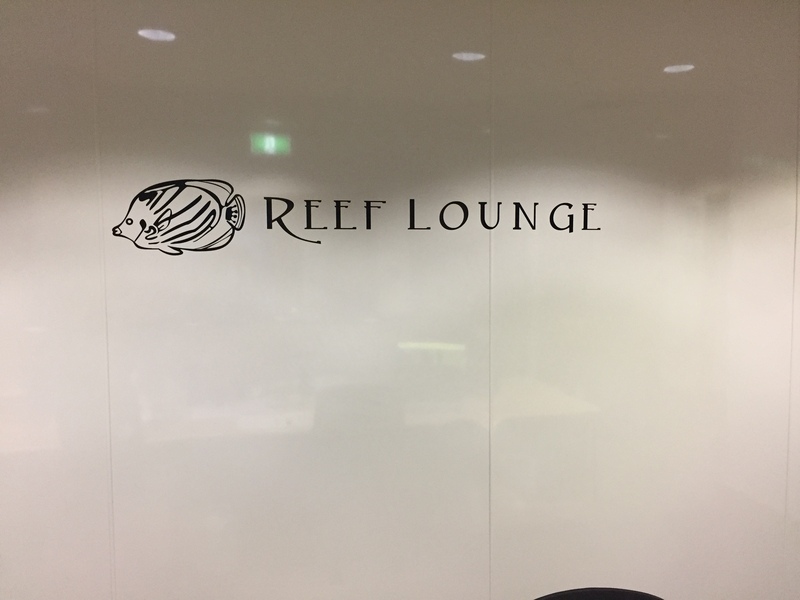 I got through customs fairly quickly and was able to access the Reef Lounge nearby my gate due to my Priority Pass membership. 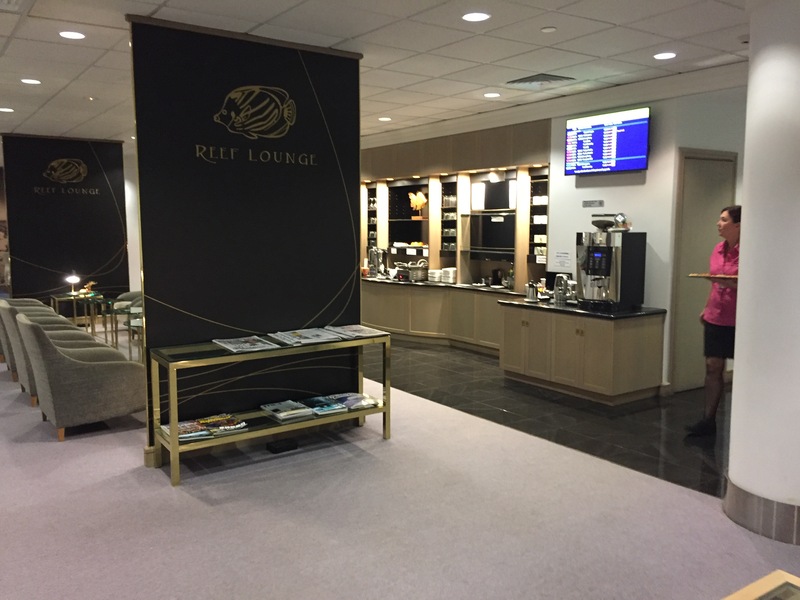 It was a pretty full lounge for a small city, including a bunch of different breakfast options (fruit, pastries, cereals, etc.) 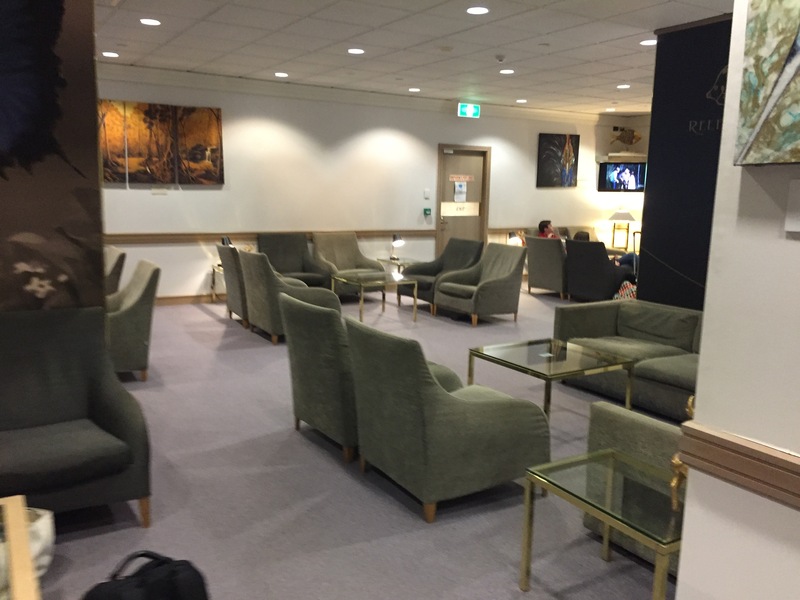 as well as a lot of comfortable chairs, newspapers, and two very clean bathrooms. 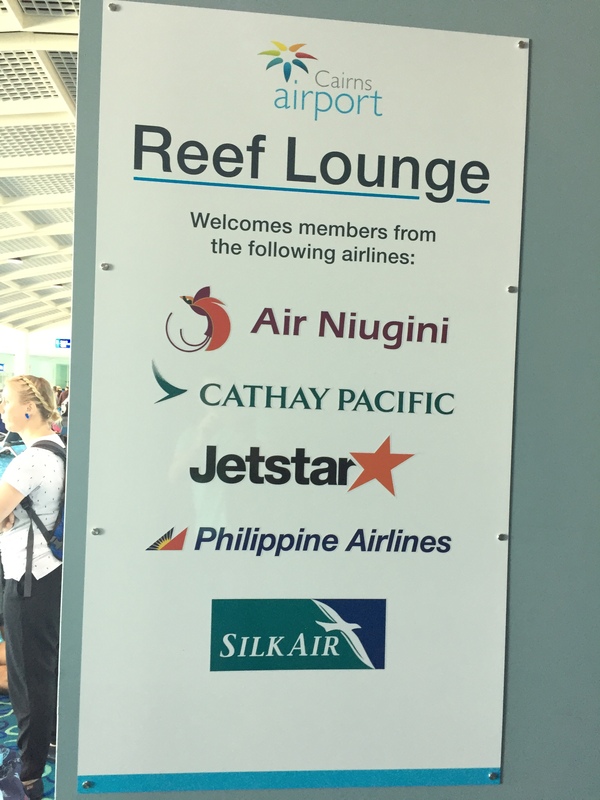 It was really nice to sit there and wait since our flight was delayed a few times. It made it easier to wait. 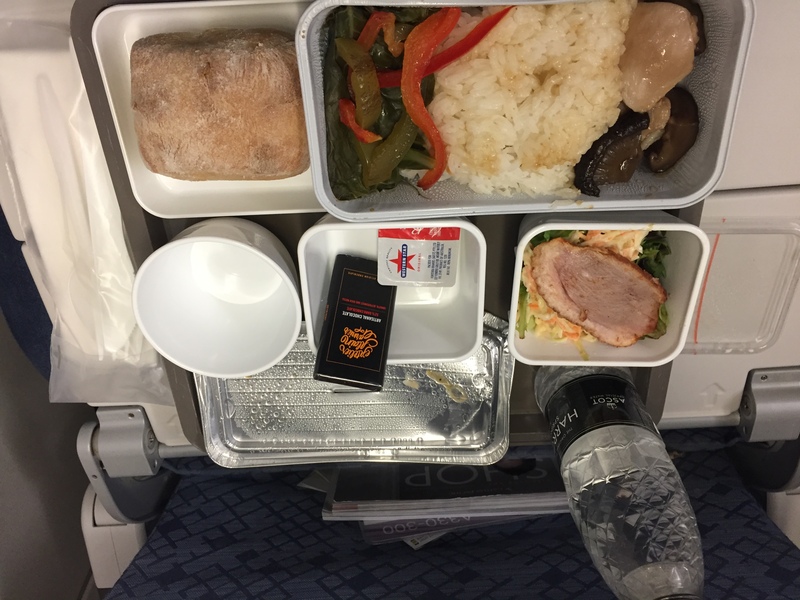 The airplane itself was large and comfortable: an Airbus A330 with plenty of seats. It only has business class and economy (I don’t remember if it was premium economy so I can’t speak to it). 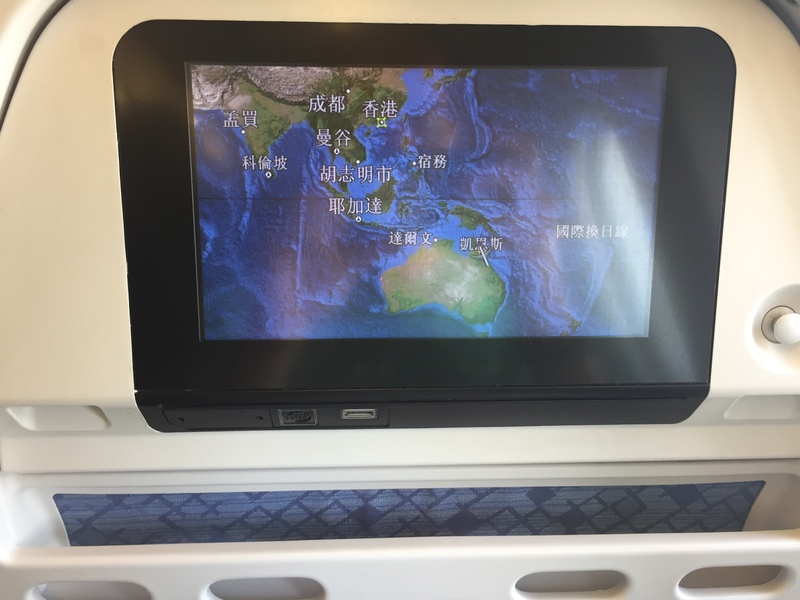 The seat was quite pleasant with plenty of legroom (way more than the standard US-based airline) and there was a good-sized in-flight entertainment system (IFE). It had a USB port on the bottom with which I charged my phone and what looked like an S-Video port (I wonder if anyone uses those, really). 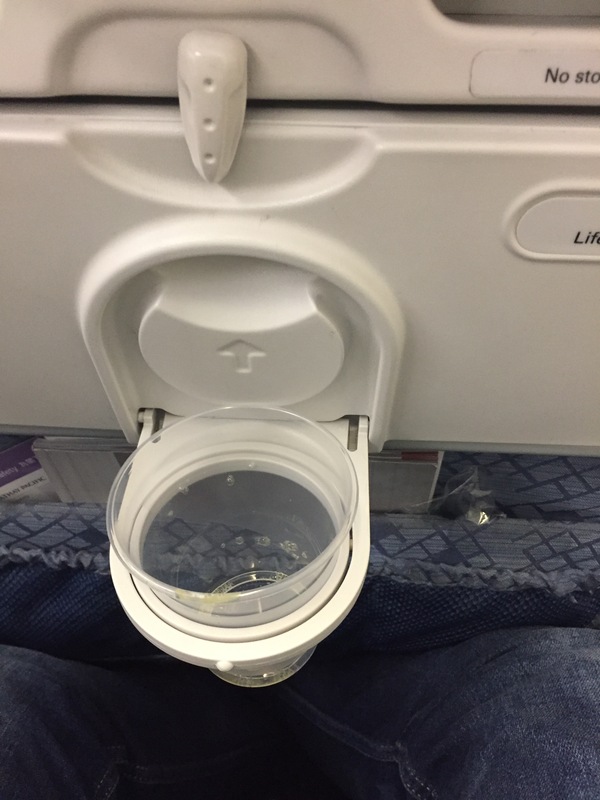 One of the newer amenities in planes like these is a cup-holder that pops down from the seat tray instead of taking down the whole thing – it was useful when I just wanted to store something small. 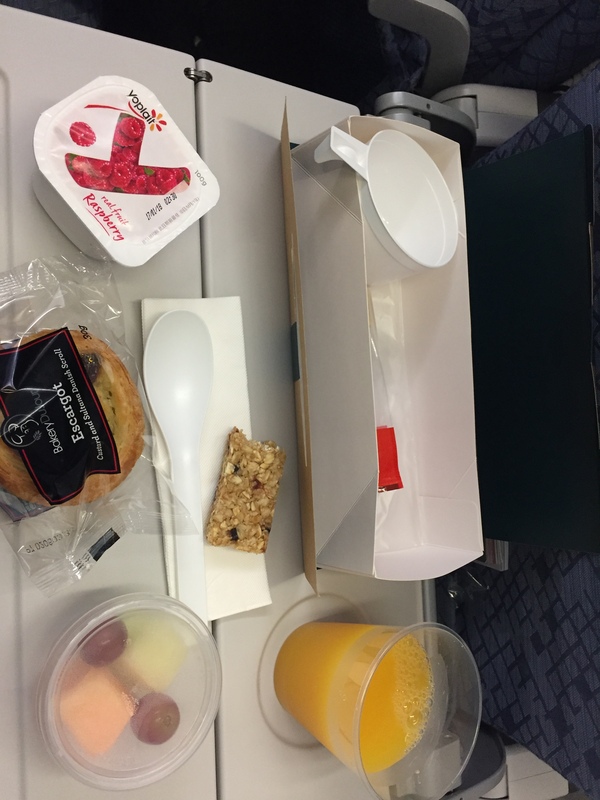 I was pleasantly surprised (although I shouldn’t have been) that on a seven hour flight we would be receiving not one – but two – meals: a light breakfast and a heftier lunch. 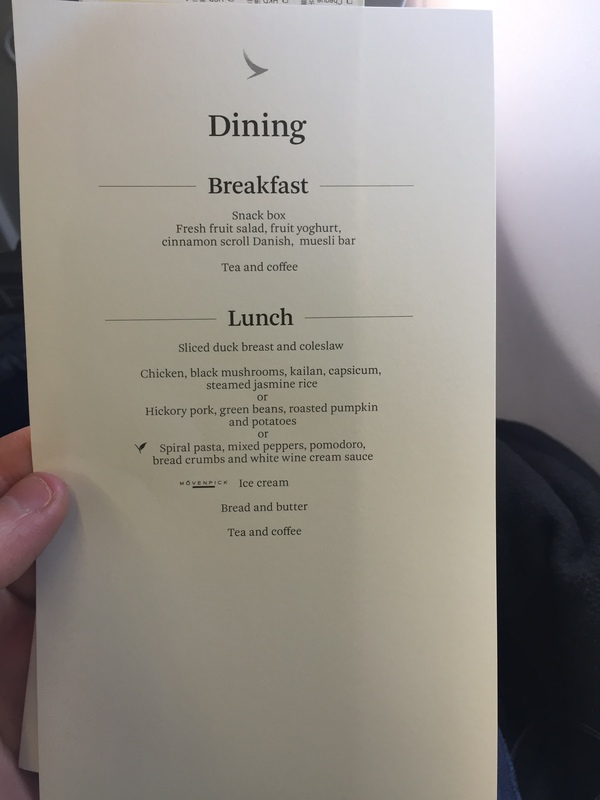 As you can see from the menu there were not a wide variety of options but it is a lot more than US-base carriers are offering on similar routes. The food was quite tasty and the offerings were plentiful I imagine if I asked for more of something I probably would have been given it.